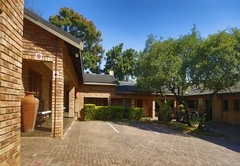 Belladonna Guesthouse is one of the Nelspruit guest houses and provides accommodation in 8 guest rooms for tourists visiting the Lowveld Legogote region. 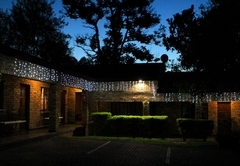 Belladona Guesthouse offers guests spacious, comfortable accommodation in Nelspruit. Here you can enjoy a tranquil getaway while still being close to many great activities and attractions. 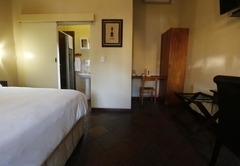 While here you can expect warm hospitality and a peaceful environment. 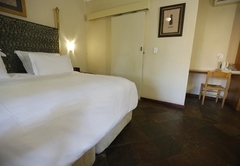 All rooms have air-conditioning, heaters and free Wi-Fi. There is secure parking on site for your cars. 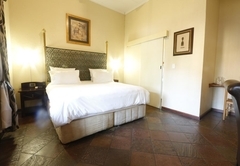 These rooms have a king size bed and an en-suite bathroom with a shower only. 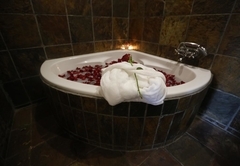 The Honeymoon Suite has a king size bed, an en-suite bathroom and a mini fridge. 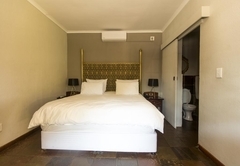 These rooms have twin beds and an en-suite bathroom with a shower only. These rooms have a King and Queen size bed and a bathroom with shower. Rooms are offered on a bed only basis but there are restaurants nearby to choose from for breakfast and dinner. King size beds en-suite bathroom with shower only. Honeymoon suite with en-suite bathroom and mini fridge. Twin room with en-suite bathroom with shower only. King and queen size bed bathroom with shower. Response timeBelladonna Guesthouse typically responds to requests in 5-10 minutes.